The Klausners were active in the Tetiever Shul, but it did not have a rabbi until 1931. 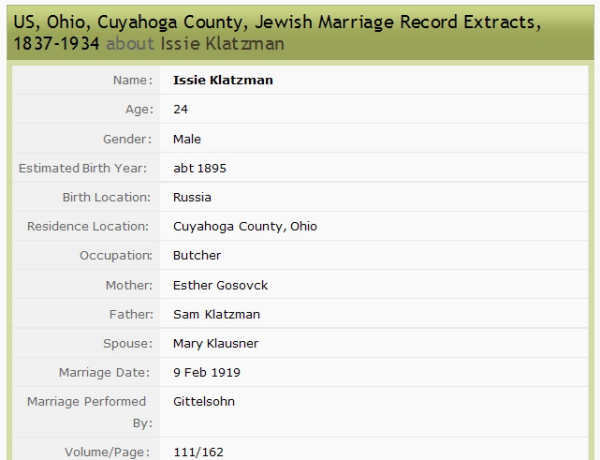 They engaged the Lithuanian-born Benjamin Gittelson (1853-1932), rabbi of Oer Chodosh Anshe Sfard from 1901-1932, to marry their daughter Mary to Issie Klotzman. Until 1925, when Rabbi Israel Porath, born and educated in Jerusalem, came to Oheb Zedek, Gittelson was the city's leading Orthodox rabbi and spiritual authority for many small congregations.